It's Nancy Nickel back with a new Tutti Designs share! 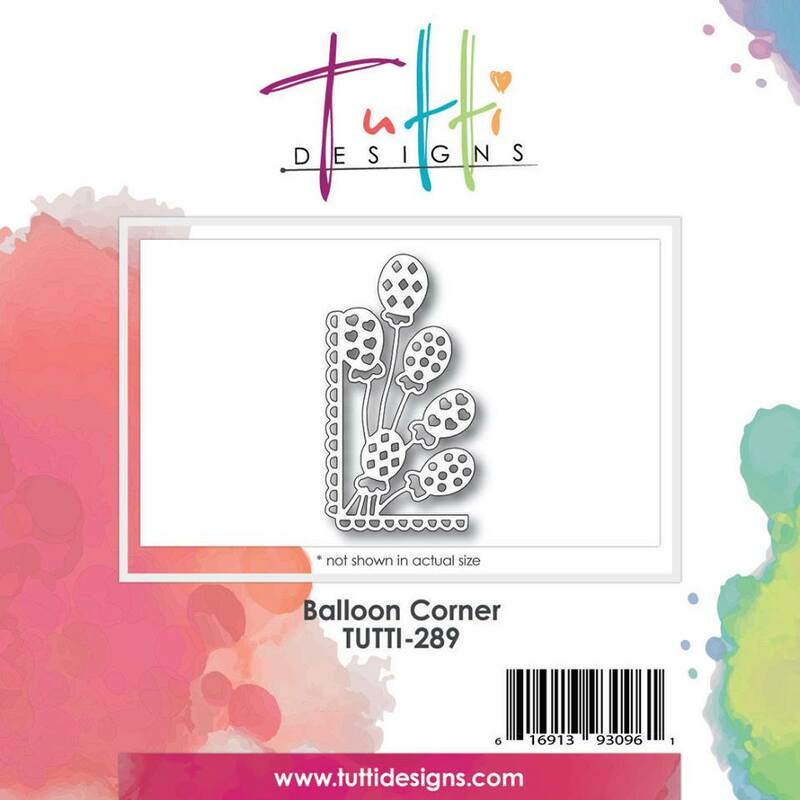 Today I'm sharing the fun Balloon Corner Die from the March Release. This is great die! It turns any card into a celebration! On my card, I wanted my balloons to be bold and bright. I thought the plaid was a great backdrop to show them off. I cut the die out of the plaid paper, and out of red cardstock. I adhered the plaid paper onto a white cardstock base. Then I adhered the red balloon corner into place. There's no need to fill in any of the bits because I want the white to show through. I added the fun sentiment from the paper collection. Finally, I added some mini red rhinestones. Here's a close-up look at the die. OH WOW! What a happy card Nancy! Love that background ... perfect with this fun balloon corner die! Awesome inspiration ... thanks!